Slateford Creek, Northampton County, within the Delaware Water Gap National Recreation Area. 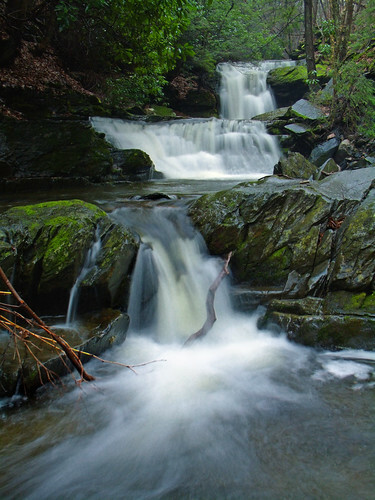 The creek tumbles through a deep, rocky, rhododendron- and hemlock-filled gorge in its approach to the Delaware River. Along its length are many cascades and several good-sized waterfalls. The gorge was mined for slate many years ago. Evidence of quarrying is seen along much of the creek.